I love holidays! Halloween is the kick-off for the fall/winter holidays. To this day I still love carving pumpkins every year. However, I’m not especially crafty. 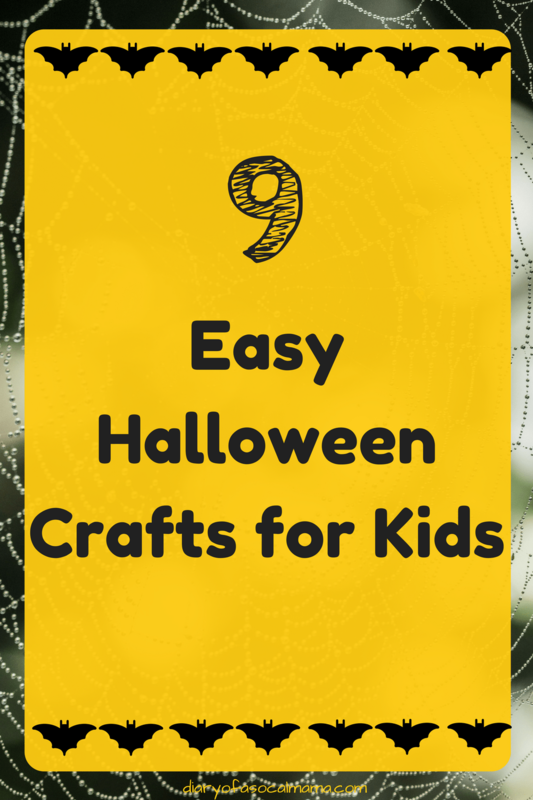 So, I was so glad to find all these easy Halloween DIY crafts to do with my nieces and nephews. Number 9 is perfect for the new trend of hiding decorated rocks. 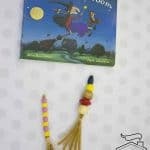 This one is a little messy, but a whole lot of fun for your toddlers and pre-school age kids. 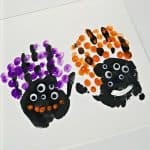 Using their hands, some paint, and some fun Googly eyes kids can make their own Halloween creation. Check out My Bored Toddler for full details! 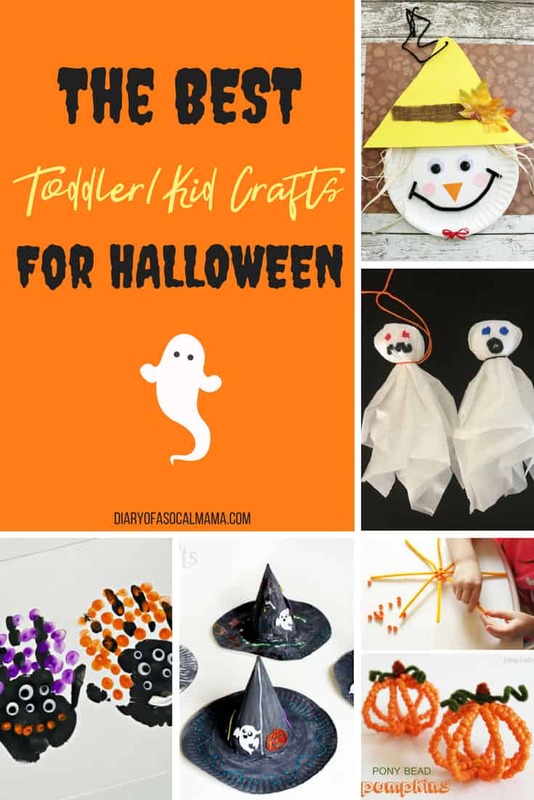 These cute pumpkins are easy to make, will be great decorations, and are a fun motor development skill for toddlers. Just make sure you watch your younger kids so none of the beads end up being eaten! 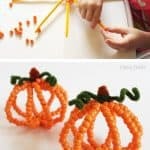 I’ll be trying this one from Cutesy Crafts with my toddler. These little Kleenex ghosts are actually my creation! This was one that was a favorite when me and my cousins were kids so I decided it was time to pull it back out for my own kids. Best part, you probably have all the supplies at home already! Perfect for an impromptu craft day. 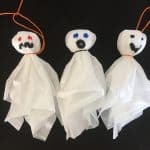 They’re easy to make as well and double as cute Halloween decor. 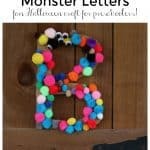 Put crafting and learning together with these fun monster letters from Ginger Casa. Your little one can learn their letters by decorating them will googly eyes and all sorts of craft supplies. 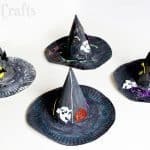 These cute witch hats from Cutesy Crafts are great for a school party or to do at home. 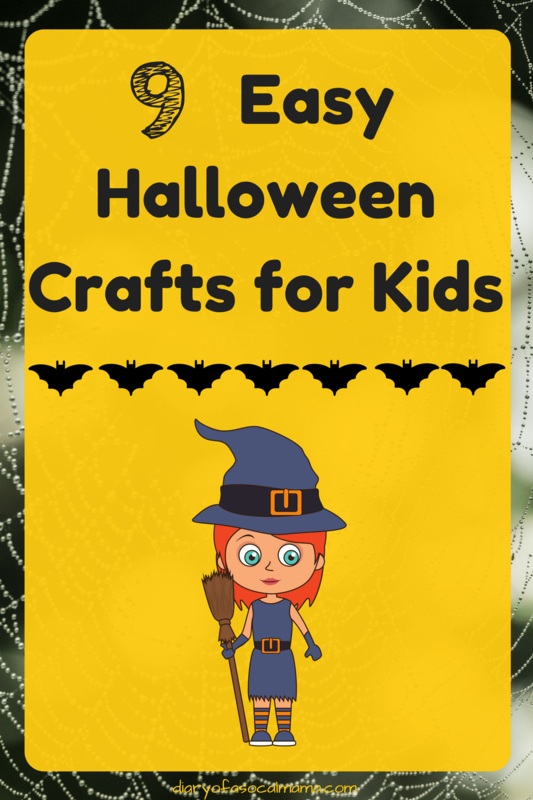 Provide your kids with some Halloween swag and let their creativity shine! I love this simple but fun idea from my friend over at Coffee with a shot of Cynicism, love the name too. 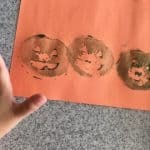 Take a simple food item and turn it into a fun stamp. 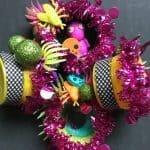 Add a little paint and you’ve got instant craft time for your kids. 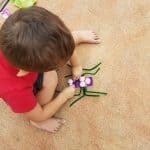 Gather your craft supplies and let your kids build their own spiders like these ones from Fab Working Mom Life. They can be cute, scary, or anything in between! 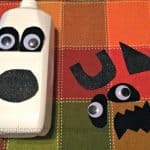 This milk jug ghost idea from My Mini Adventurer is easy fun. Use her velcro idea for the face pieces and it can be played with over and over again! Use your old playdough containers to make these fun Halloween dioramas from Jennifer Perkins. They are perfect for adding a little Halloween sparkle to your decor. 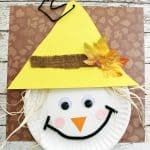 This fun printable is a craft and activity all in one! 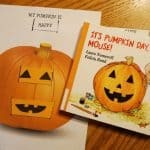 Check out this Halloween themed book and printable craft from Happy, Healthy, Thrifty, Family. 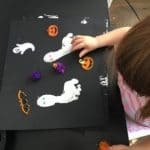 Your kids can jump into Halloween with both feet with this fun craft idea from Seaside Sundays. A little paint, two feet, and some imagination go into this fun craft idea! Perfect to make as a 1st Holiday souvenir as well. Find even more craft kits on my Amazon Influencer page!